Get 3 months free Tidal with Raumfeld | What Hi-Fi? The Sonos-rivalling wireless system is offering three months free access to the Tidal lossless streaming service. New Raumfeld customers can benefit from the deal, which will give you three month's access to the top-tier Tidal Hi-Fi CD-quality service, which normally costs £20 per month. Raumfeld sells directly from its website with the deal available on any Wi-Fi system purchase. The Raumfeld wireless family starts with the One S, yours for £200. The deal will run "as long as supplies last" up until 30th September at the latest. 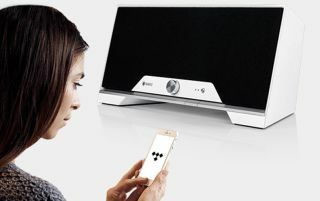 We've only reviewed the now discontinued Raumfeld3 speaker, but we look forward to getting our hands on some of the new wireless speakers, which were launched at CES earlier this year, very soon. Raumfeld offers a range of five multi-room streaming products and the option to buy a complete system. See the Raumfeld website for more details on the deal.